Last week, the DOJ announced Andrew Weissmann has been selected as the Chief of the Criminal Division’s Fraud Section. 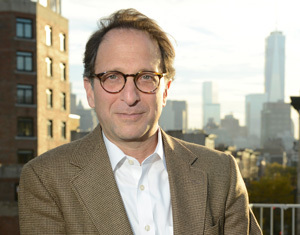 In recent years, Weissmann has been a vocal advocate of Foreign Corrupt Practices Act reform and more broadly, reforming corporate criminal liability principles. In October 2010, Weissmann was the lead author of “Restoring Balance: Proposed Amendments to the FCPA.” Written on behalf of the U.S. Chamber Institute for Legal Reform, “Restoring Balance,” lead to a Senate FCPA reform hearing in November 2010, and thereafter, a House FCPA reform hearing in June 2011. Here is what Weissmann wrote in “Restoring Balance”. “The current FCPA enforcement environment has been costly to business. Businesses enmeshed in a fullblown FCPA investigation conducted by the U.S. government have and will continue to spend enormous sums on legal fees, forensic accounting, and other investigative costs before they are even confronted with a fine or penalty, which, as noted, can range into the tens or hundreds of millions. In fact, one noteworthy innovation in FCPA enforcement policy has been the effective outsourcing of investigations by the government to the private sector, by having companies suspected of FCPA violations shoulder the cost of uncovering such violations themselves through extensive internal investigations. “[T]he FCPA should be modified to make clear what is and what is not a violation. The statute should take into account the realities that confront businesses that operate in countries with endemic corruption (e.g., Russia, which is consistently ranked by Transparency International as among the most corrupt in the world) or in countries where many companies are state-owned (e.g., China) and it therefore may not be immediately apparent whether an individual is considered a “foreign official” within the meaning of the act. As the U.S. government has not prohibited U.S. companies from engaging in business in such countries, a company that chooses to engage in such business faces unique hurdles. The FCPA should incentivize the company to establish compliance systems that will actively discourage and detect bribery, but should also permit companies that maintain such effective systems to avail themselves of an affirmative defense to charges of FCPA violations. This is so because in such countries even if companies have strong compliance systems in place, a third-party vendor or errant employee may be tempted to engage in acts that violate the business’s explicit anti-bribery policies. It is unfair to hold a business criminally liable for behavior that was neither sanctioned by or known to the business. “The FCPA had been tailored to balance various competing interests, but that balance has been altered, at times, by aggressive application and interpretations of the statute by the government. Instead of serving the original intent of the statute, which was to punish companies that participate in foreign bribery, actions taken under more expansive interpretations of the statute may ultimately punish corporations whose connection to improper acts is attenuated at best and nonexistent at worst. Beyond the FCPA, Weissmann has also been a vocal advocate of reforming corporate criminal liability principles.